Suki returns to London after living in New Zealand for a decade, and nothing is as it seems…Which is exactly how Suki remembers it. Shadows aren’t just shadows, statues move around in apartments, and something is hiding in the closets wherever she goes. Suki searches out her old friends, only to find that they have lives that don’t include her. The only truly friendly face is Peggy, who was once Suki’s babysitter and who generously offers her a place to stay, with her mother, Pippa, who is dying from the long-term effects of alcoholism and who needs company once in a while. Suki finds herself being included in the dysfunctional family, and even ends up spending a great deal of time with the very surly teenage son at Peggy’s request. 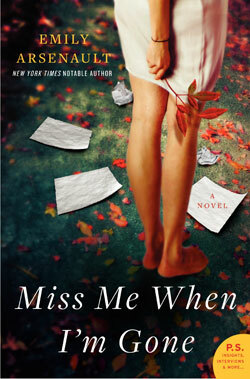 The past comes back to haunt her, however, and as she finds herself in the same building where her own family fell apart when her father disappeared to another continent to start a new family, she also finds herself remembering events that happened there. A party one night when she was just a girl, an air raid shelter where she nearly died, a locket holding a secret. She can’t seem to put the pieces together all at once, but she is assaulted by the tiniest details. This novel cannot be placed in any one genre, which makes it remarkably difficult to describe. A touch of the supernatural, a touch of psychological thriller, a touch of women’s literature, all mixed together to keep you turning those pages and trying to put the puzzle pieces together. Is Suki crazy? Is there an explanation for the things that keep happening around her? Whatever happened to the creepy neighbor guy who disappeared? What happened the night of the party she keeps remembering? 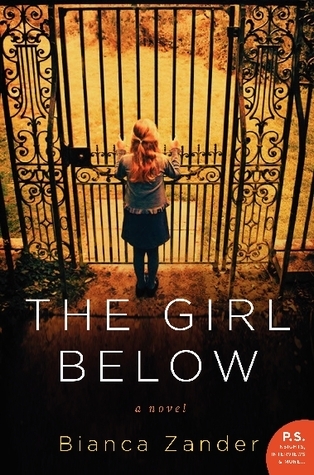 If you love literature like Brunonia Barry’s The Lace Reader, you won’t want to miss The Girl Below by Bianca Zander.